Starbucks is re-running its Red Cup campaign they did in Boston last winter. 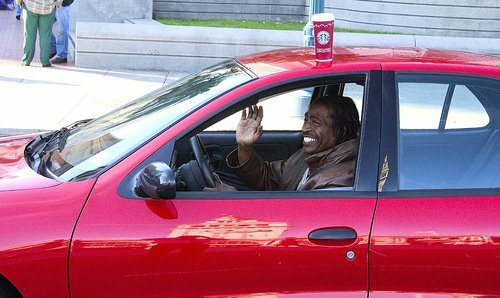 They glue coffee cups to the car tops and trick pedestrians into thinking the cups were left there by forgetful drivers. Thomas Hawk on Flickr recounts the experience of being had.